Mexican food as we know it today bears no relation to the foods eaten at the time that the Spaniards first arrived on these shores. The people who met the Conquistadores had no beef, pork, chicken, cheese, or the other staples of modern Mexican cuisine, but had their own complex cuisine that has nearly died out. This included some plants that are now used as ornamentals or not eaten at all, and other familiar items that are now prepared differently. There was a variety of different cultures in ecologies that ranged from jungle to temperate to desert, and their cuisines will be covered in this talk. Linda Civitello is the author of “Culture and Cuisine,” The Baking Powder Wars,” and four other books, as well as numerous shorter pieces. 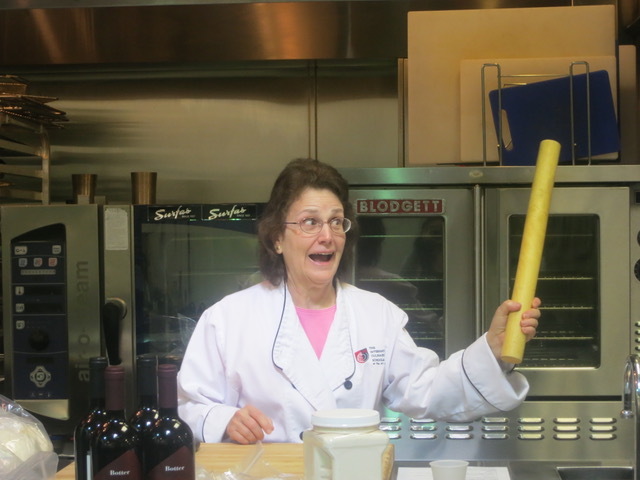 She has been on the culinary facility at the Art Institute of California and the California School of Culinary Arts, and has taught classes in food history and traditions.